Working in or around a grain bin can be a hazardous work environment. Each year, hundreds of individuals suffer from life altering injuries or die in a grain bin explosion. Because of that, many farms and ranches have taken precautionary measures in an effort to minimize the dangerous conditions that cause an explosion. Workers suffering minor or severe injuries all have the legal right to seek compensation from any party at fault for causing the accident. Was the grain bin properly ventilated? Did the owner and workers follow proper loading procedures? Were there proper warning signs? Were there established and implemented safety procedures to minimize the potential of an explosion? Were all workers trained properly on how to avoid a grain bin explosion? Was the grain been designed or manufactured with a defect? Were there any violations of federal standards on managing and using grain bins? Injured victims and surviving family members of loved ones lost from an explosion involving a grain bin or elevator can see compensation to ensure they have adequate funds to recover all damages. These include past, current and future medical bills, exemplary damages, economic damages, loss of benefits, loss of earning capacity, rehabilitation, vocational retraining, medical costs associated with healing, funeral and burial costs along with non-economic damages such as pain and suffering. The tort law involving farm accidents is complex. Specific steps must be taken to obtain the maximum amount of benefits and compensation available. However, hiring legal representation can make the process simple. A skilled attorney can assist the victim in obtaining case information, medical records, police reports, photographs and legal documents related to the claim. In addition, the law firm can track down eyewitnesses to provide testimony should the personal injury case go to trial. A skilled attorney can guide the victim through every legal process and minimize any potential disruption while they heal. A reputable law firm will hire expert witnesses to provide testimony or to assist the lawyers in building a solid case for an out-of-court settlement. In addition, the lawyer can ensure that all necessary paperwork is filed in a timely manner before the expiration of the state’s statute of limitations concerning the case. Rosenfeld Injury Lawyers LLC fight aggressively when representing our clients. 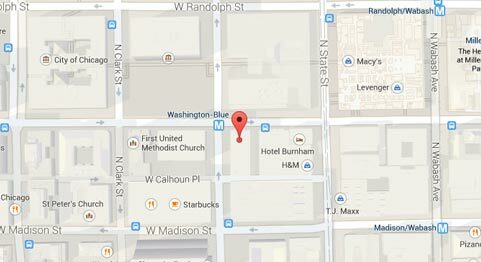 We offer a no charge initial consultation to discuss the case. After an evaluation, we can provide legal options to pursue financial compensation to hold every party at fault accountable for their neglectful action that caused the accident. In addition, we investigate the case to look for any additional third parties that might also be at fault for the accident. This could include filing a claim or lawsuit against farm equipment manufacturers or installers. We invite you to schedule your evaluation by calling our offices at (888) 424-5757 today. 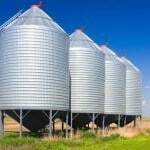 We accept farm accident cases including grain bin explosion claims on contingency to eliminate the worry of paying cash upfront for legal representation. We are paid for our services only after we obtain financial recompense for you through a negotiated settlement or trial award.